NV-5138 for Treatment-Resistant Depression – Navitor Pharmaceuticals, Inc.
NV-5138, a First-in-Class molecule that selectively activates mTORC1 in the brain, has broad potential to treat neurological conditions such as depression, cognitive impairment and other indications that result from low metabolic activity in the brain. 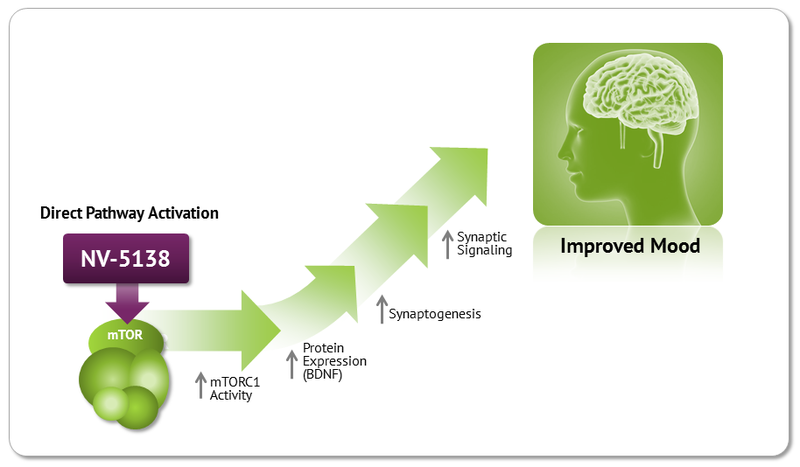 mTORC1 is a central mediator of mood, memory and cognition. Low metabolic activity in the brain is a foundation of cognitive impairment and depressive disorders. Synapse formation and protein synthesis are energetically expensive – reduced brain metabolic activity starves neurons of the energy needed to properly function. Activation of mTORC1 restores energy flow in the brain, providing energy needed for neuronal function, and supports synaptic plasticity required for the healthy regulation of mood and memory formation. NV-5138 is an orally active, brain penetrant small molecule leucine mimetic that activates mTORC1 by binding the leucine sensor Sestrin. In June 2018 Navitor advanced NV-5138 into human Phase 1 clinical studies for the treatment of depression. 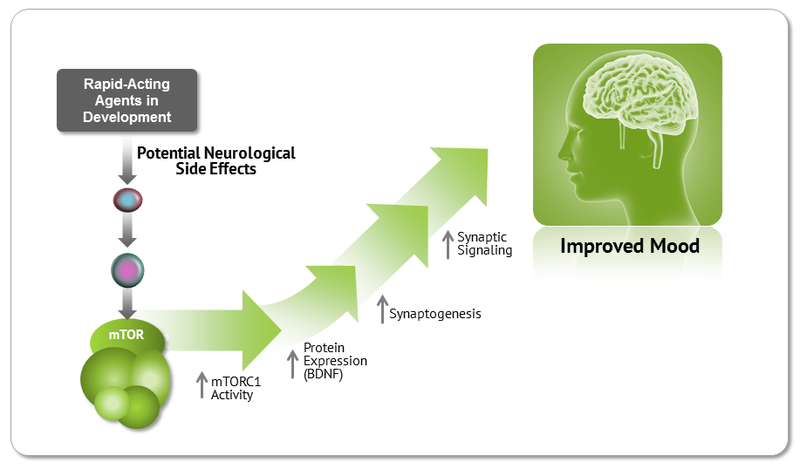 The initial clinical study, testing a single dose of NV-5138, offers a rapid path to safety, exposure and ‘proof of concept’ that mTORC1 activation in the brain can have a rapid pharmacological impact in an indication characterized by suppressed mTORC1 activation in the brain. Major Depressive Disorder (MDD) affects over 16 million people in the US and more than 300 million people worldwide. Depression is the 2nd leading cause of disability worldwide with over $200 billion in annual costs for healthcare and lost productivity in the US alone. Traditional antidepressant therapies such as SSRIs and SNRIs are effective in only about half of treated patients and have a very slow onset typically taking 8-12 weeks to show efficacy. Nevertheless, over $17 billion is spent on (largely generic) antidepressants annually in the US. Over 3 million MDD patients do not respond to appropriate courses of at least two currently marketed antidepressants; these Treatment-Resistant Depression (TRD) patients incur more than 35 lost work days annually, double the MDD rate, and have particularly poor prognoses for remission of their symptoms. Newer drugs including ketamine and related antidepressant agents that modulate the presynaptic NMDA receptor have demonstrated the potential for improved efficacy with a rapid onset (days vs. weeks). 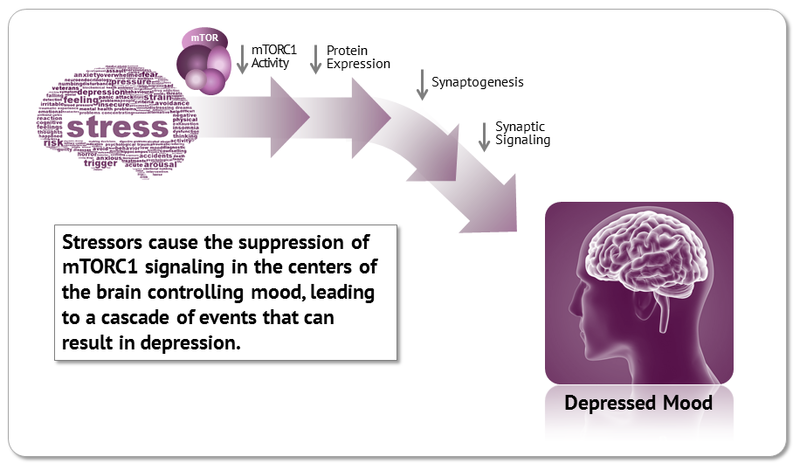 These agents indirectly activate mTORC1 signaling in postsynaptic neurons, which is required to initiate the production of key synaptic signaling proteins, an increased number and function of new synapses (synaptogenesis) and thus the antidepressant effects of these agents. Unfortunately, indirect activation of mTORC1 via presynaptic NMDA receptor antagonism can also cause significant neurological side effects including dissociation (hallucination) and has abuse potential. Navitor has developed NV-5138, an orally available small molecule that directly activates mTORC1 activity by binding and modulating Sestrin, a leucine amino acid sensor. Results from preclinical models demonstrate that NV-5138 produces rapid upregulation of key synaptic signaling proteins, synaptogenesis and antidepressant behavioral responses via the direct activation of the mTORC1 signaling pathway. Since NV-5138 does not directly modulate NMDA receptor function, the compound may not have the side effects and abuse potential of the NMDA receptor modulators in development.